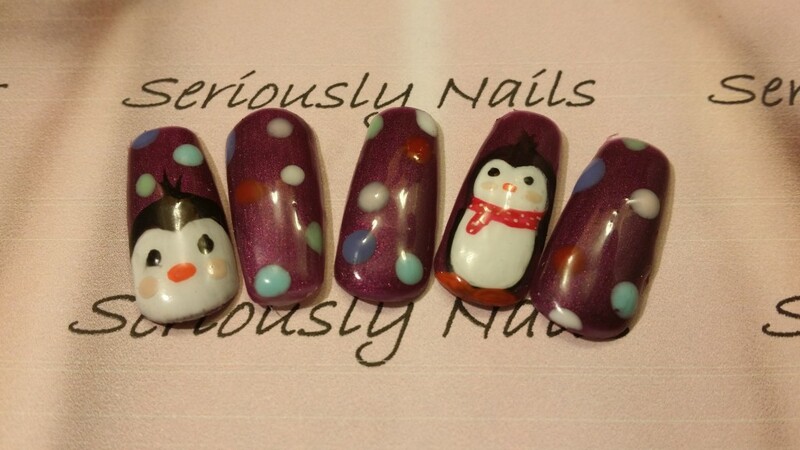 Challenge Your Nail Art prompt for today is Penguins! I had previously done Penguin “Wrapping Paper” prompt for this challenge. But I really like these little devils so I am really happy to do another Penguin post! 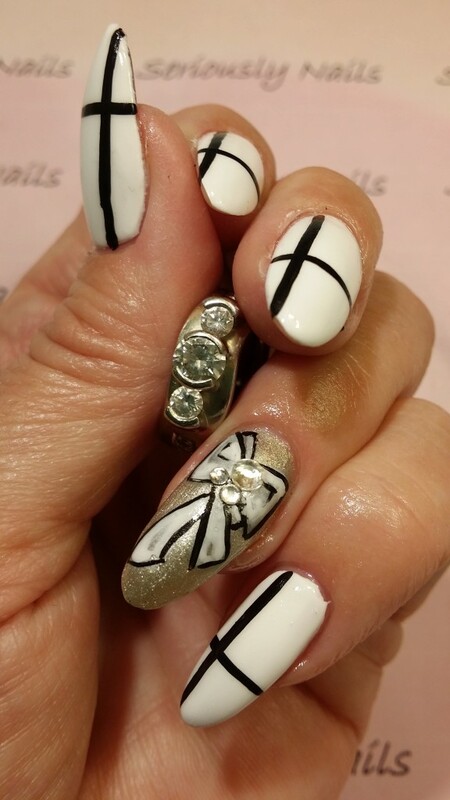 I used regular polish for the four black and white nails with some Young Nails sparkly bits at the tips. The penguin is hand drawn using acrylic paint! 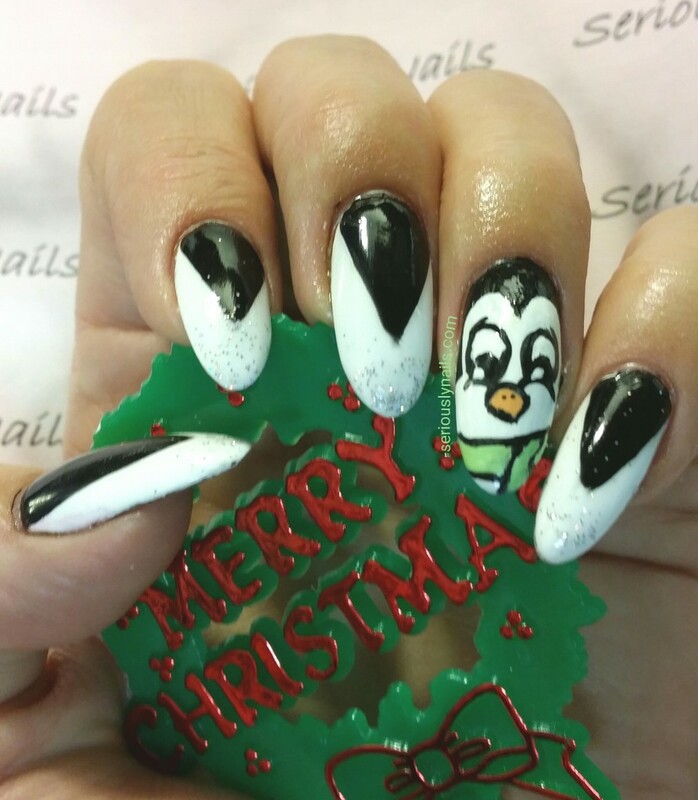 You can add your own Penguin inspired mani’s or check out the other artists here! 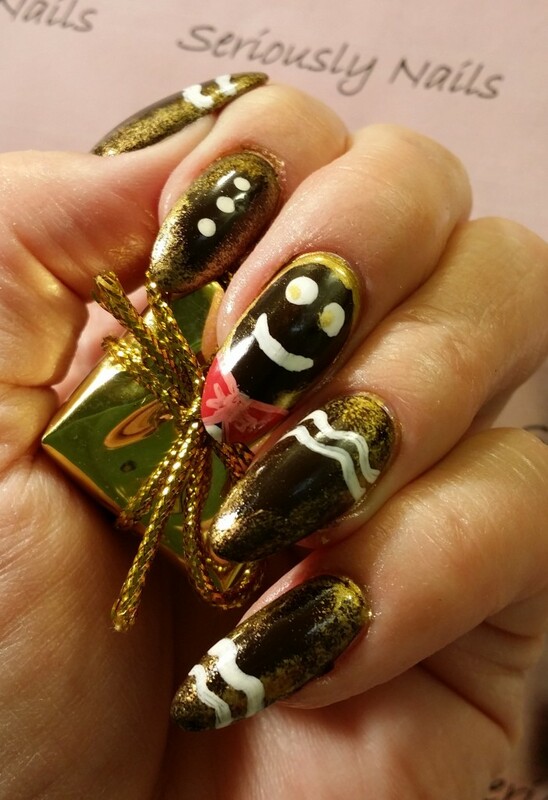 My Christmas Nail Art Step by Step. 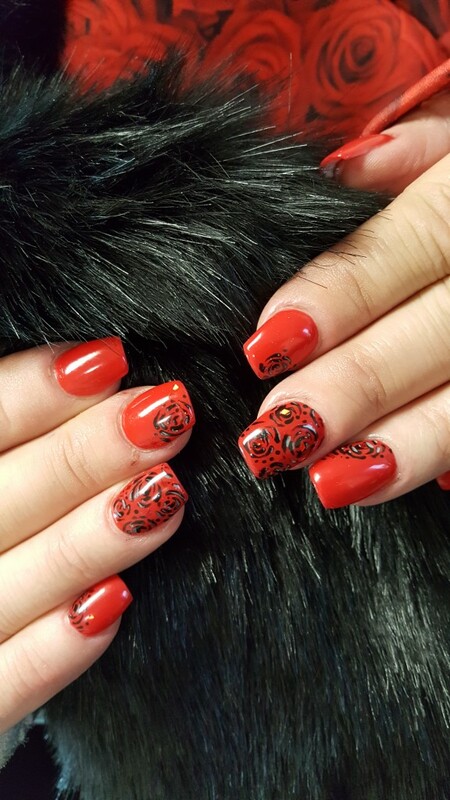 After looking through the Nails Magazine Nail Art Gallery digital magazine yesterday, I feel like it is a good time to share my own Christmas Nail Art tutorial! For this finished look you really only need a couple of tools and colors. 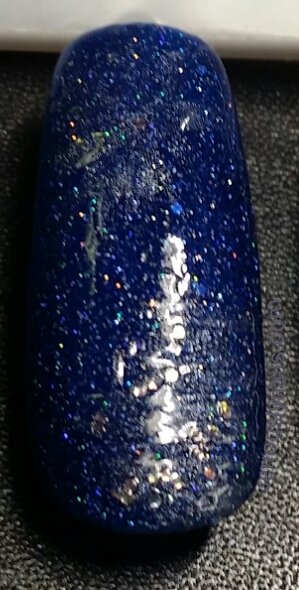 Paint two coats of your favorite winter color using gel color. Cure the appropriate time for each coat. Add a top coat for smoothness. 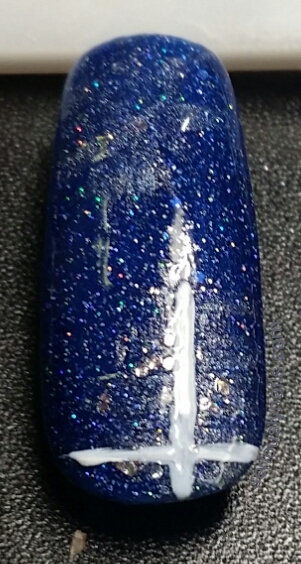 This design will use a few techniques to create depth in the design. Including this. 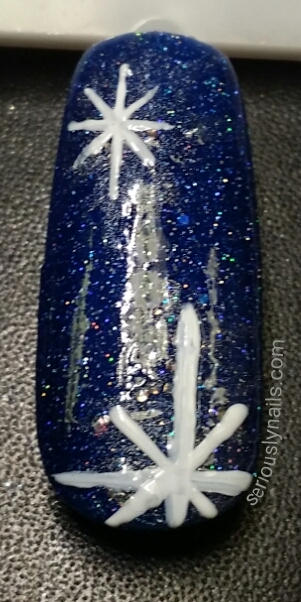 Sponge on some silver gel color where you want to eventually draw your snowflakes. Cure. 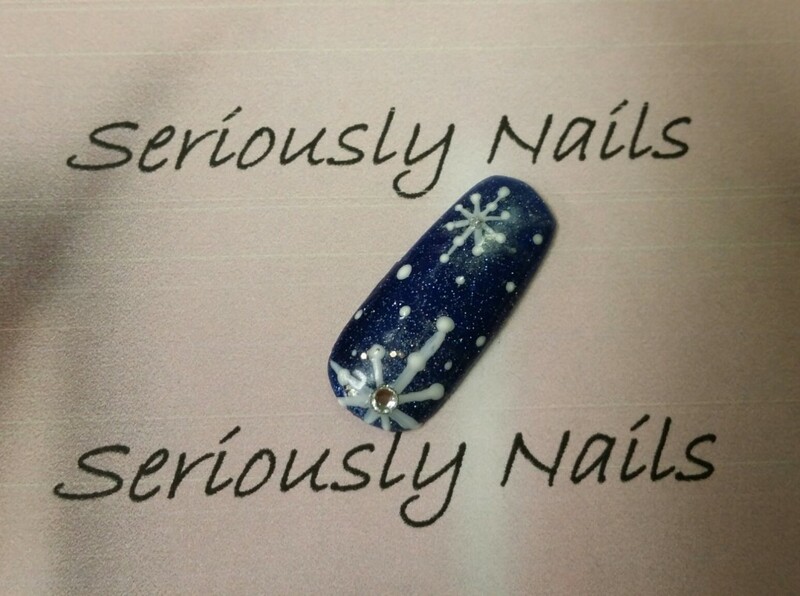 Start by drawing the snowflake that will be “closest” to you at the tip of the fingernail. Remember that it will be larger than the one farther away. Since we want it to appear closer to you, do not drawing the whole snowflake in that area. Just the majority of it with parts running off the edge of the nail. Complete the first snowflake, then move on to the second one that is in the distance. You will want to make this one complete. Remember to cure each step for the correct amount of time that your product calls for. 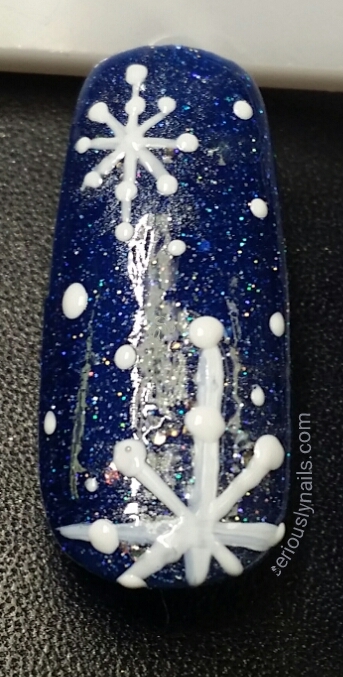 Start adding more dimension by placing dots on the very tips of the inside of the snowflake. Making sure the place them at roughly the same spot on the longer pieces. 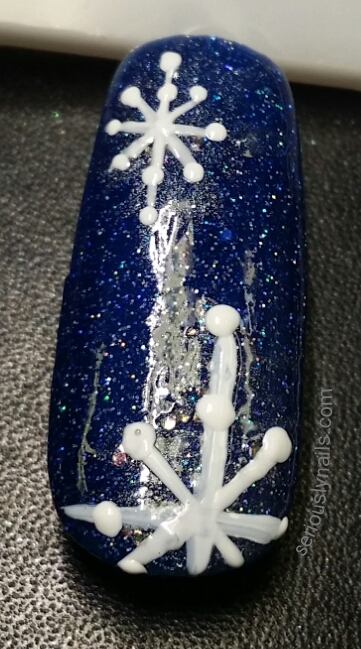 Then finally add dots to the very ends of the snowflake stems. Cure. 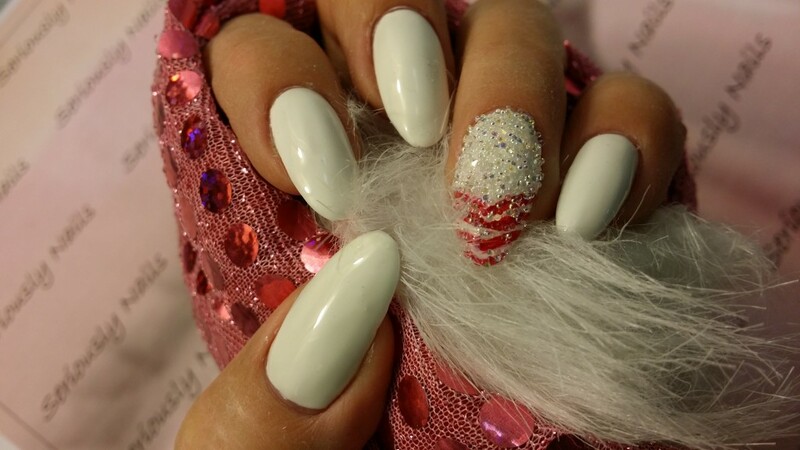 I like to add drops of snow over the nail at different spots and in different sizes to make it seems like it is really snowing outside! 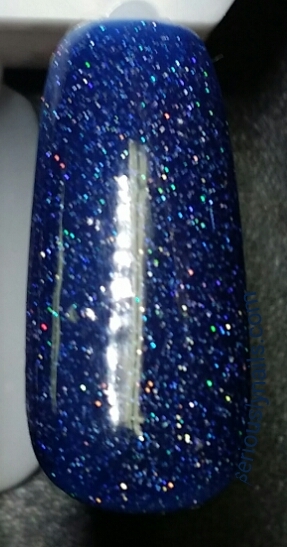 Cure your smaller dots, then top coat to finish the nails surface. Cure. 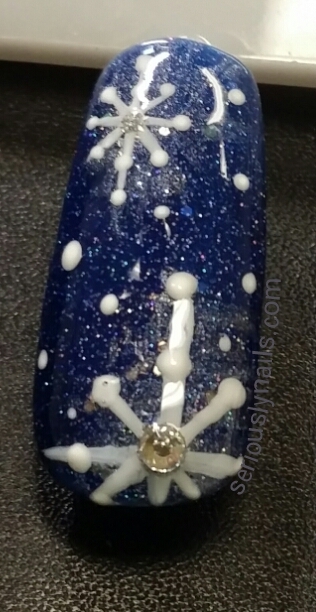 Using a nice thick soak off gel like “Gel Play” by Akzentz, apply your crystal to the center of the large snowflake. Make sure it is sealed in nicely. Ok, now it’s starting to feel like the holiday season. Thank you Jessica from @behappybuypolish!